ech - oed back the cheer - ful strain, add new gra - oes to the morn. O hark, my love! on every spray, Each feathered warbler tunes his lay; Tis beauty fires the ravished throng, And love inspires the melting song. Then let my raptured notes arise, For beauty darts from Nannie's eyes, And love my rising bosom warms, And fills my soul with sweet alarms. With rapture calls ; O come away! Around that modest brow of thine. And charm this ravished heart of mine!
" 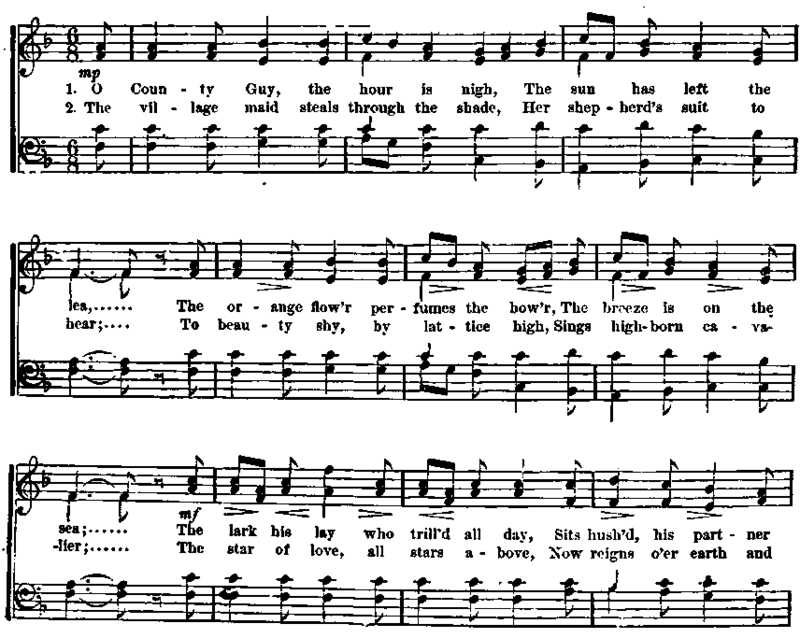 County Guy" is a little song by Sir Walter Scott, set to an air of Mozart's.